Here are a few Lake Minnetonka home buying tips for renters to consider if you're ready to take the big step toward home ownership. In addition to the basics like saving up for a down payment and deciding on a housing budget, there are other important considerations to address. 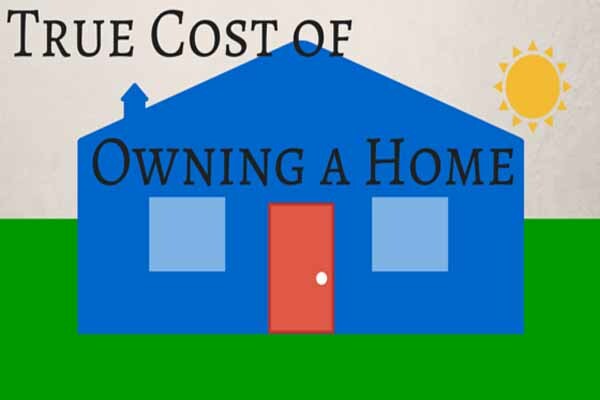 Lastly, here’s another of our Lake Minnetonka home buying tips designed to help understand the full cost of home ownership. If a prospective purchaser is considering buying a condo, there most likely will be an additional component to the PITI mentioned above: Monthly Homeowners Association (HOA) dues. The HOA fees help pay for those areas of the condo complex that are for the benefit of all the owners or residents. Examples are parking lots, landscaped areas, pools and clubhouses. In addition, the fees collected are designed to pay for routine maintenance such as painting the building’s exterior or replacing the roof. While most HOA fees are for condo complexes, more and more neighborhoods with common areas requiring upkeep and maintenance are forming homeowners associations, which will require dues. One of the most important Lake Minnetonka home buying tips to be aware of involves your income taxes. Aside from the annual appreciation most homes enjoy, the most popular advantage of homeownership is the tax savings. Mortgage loan interest and real estate property taxes can be deducted from your adjusted gross income on your income tax returns each year. That, of course, reduces your taxable income – and your resulting tax liability. Among vital Lake Minnetonka home buying tips is how to best and most affordably finance the purchase of a home. While 20% has traditionally been the amount most Americans assume is needed for a down payment, it’s largely a misconception. There are loan programs available today for borrowers with as little as a 3% down payment. As mentioned above, depending on the type of mortgage loan and the LTV ratio, a borrower will have to pay their property taxes and insurance premiums each month into an escrow. In addition, if the down payment is less than 20% or if the LTV ratio is more than 80%, private mortgage insurance will be required. Mortgage insurance protects the lender against the borrower defaulting on the monthly payments. Annual mortgage insurance premiums cost roughly .85% of the mortgage amount, so that needs to be figured into the monthly payment in addition to PITI. Read more about home buying tips in the section of articles on Lake Minnetonka Home Buying Tips just below our Lake Minnetonka Real Estate Categories in the column to your right. Remember, we also post tips daily on Facebook and Twitter. Check us out there, too. « Lake Minnetonka Mortgages – What Will Slightly Higher Rates Mean?